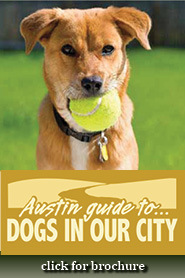 The Parks and Recreation Department operates 12 off leash areas in Austin for you to enjoy with your dog. In general, all parks are open for public use each day from 5 a.m. to 10 p.m. unless otherwise posted. At times, access is limited or affected by events or maintenance issues. To report any park non-emergency issues, call 3-1-1, or visit the 3-1-1 website to submit a maintenance concern online. For all park emergencies, call 9-1-1. 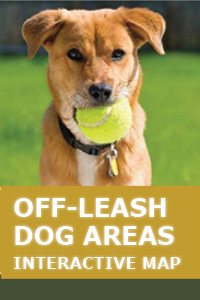 When not in these specified areas, the Austin leash ordinance requires dogs to be on a leash no longer than 6 feet on all City land. The maximum fine for not following this ordinance is $500.